Are you planning to convert your garage to get the extra space you need? Read our expert guide. Once your family outgrows your current home, you need to make some bold decisions. You can sell your current home and move to a bigger one. This is hard, especially when the house is sentimental to you and your family. It is hard to let go of a place that’s filled with precious memories… You can demolish your current home and build a bigger one. However, this project requires a hefty amount of money…. You can also extend your home. You can build a horizontal home extension, add a second storey, or convert your garage into a livable space. Yes. Your old garage oozes potential. With a solid foundation, sturdy walls, and a protective roof, you only need to take a few easy steps to turn it into a room that you and your family can use. If you live in a house situated in a small plot of land, and a regular single storey home extension isn’t possible, and you own a garage that’s just sitting there, then a garage conversion is suitable for you. When you convert your garage into a livable space, you will meet your growing family’s need for space. You can build an additional bedroom, a new study, a media room, game room, a rumpus studio (if someone is in a band), or a lounge area. In addition, these rooms potentially add value to a home. According to our our country’s top estate agents, a new bedroom can add up to 11.2% and an extended kitchen can add up to 10%. Real estate sells for a premium. A home extension project like a garage conversion will add value to your home. This is the first step. No, you don’t contact a building designer or a draftsman immediately. They need your plan before they can come in the picture. So, sit down with your spouse and your kids. Tell them your plans to convert your garage into something more useful. Figure out out their needs. Then, decide whether your family needs a new bedroom, study, home office, or another communal room. Once you have a vision, it’s time to call a building designer or a draftsman for the job. This design professional will most likely visit your home, inspect the garage, and tell you whether there’s enough space to achieve your plans. Classified as a Class 10a building under the Building Code of Australia (BCA), your garage is meant to be a non-habitable structure. 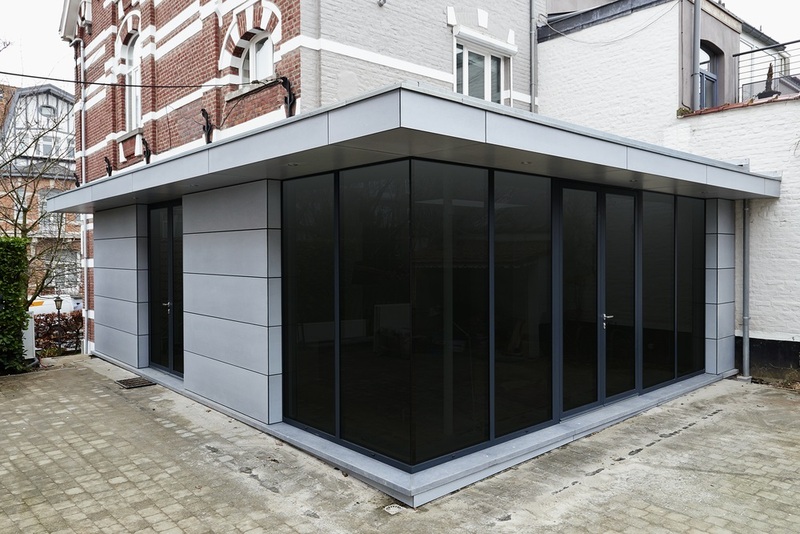 A garage conversion involves the reclassification of a 10a building to a 1a building, meaning you need to apply and acquire a Development Approval from your local council. Without it, you can’t start any building works. It is important for you to meet the minimum BCA requirements of a habitable room. Let’s talk about the ceiling height first. The minimum ceiling height for a garage is only 2.1 metres. On the other hand, livable areas need a ceiling height that’s at least 2.4 metres high. That being said, your garage conversion may require you to raise your roof. This is the more economical step to take, as compared to removing and replacing the existing concrete slab. The area beneath the concrete slab must be treated with a termite management system. The requirements are different in every state, so better check the termite risk management provisions of the BCA. There must be a waterproof membrane beneath the concrete slab. Show an evidence or else you will need to waterproof the concrete slab using any commercial product available for this purpose (rolled or brushed). Most garage walls are made from single bricks that aren’t completely sealed. If your garage is like this, get ready to seal yours using a waterproof paint or membrane. Seal your walls to reduce the likelihood of of rising moisture levels. Add a stud wall for your electrical wiring and insulation. Then finish it with plasterboard and paint. Make sure that your building designer or draftsman completely details how your plan is compliant with the energy efficiency provisions of the BCA before you submit your Development Application to the local council for approval. Note that the provisions vary in every state. In NSW, there is the Building Sustainability Index (BASIX) report. In other states they follow the Nationwide House Energy Rating System (NatHERS). It pays to follow these provisions. Once the garage conversion is complete, you’ll notice that it won’t cost much to heat or cool your new home extension. When you convert your garage, you automatically need to remove the garage doors and replace it with a wall and windows. Still, meet the requirements set by the BCA. The window must be 10% the size of the floor area of the new room. Your chosen draftsman or building designer should know these BCA requirements. Only work with a licenced plumber or electrician. They provide you with the necessary Certificates of Compliance. If you’re building a new bedroom, do not forget to install a smoke alarm in that room. In most cases, rainwater runs in front of the garage door. You must divert rainwater away from here and you must indicate the steps how in your plans. This is also important. 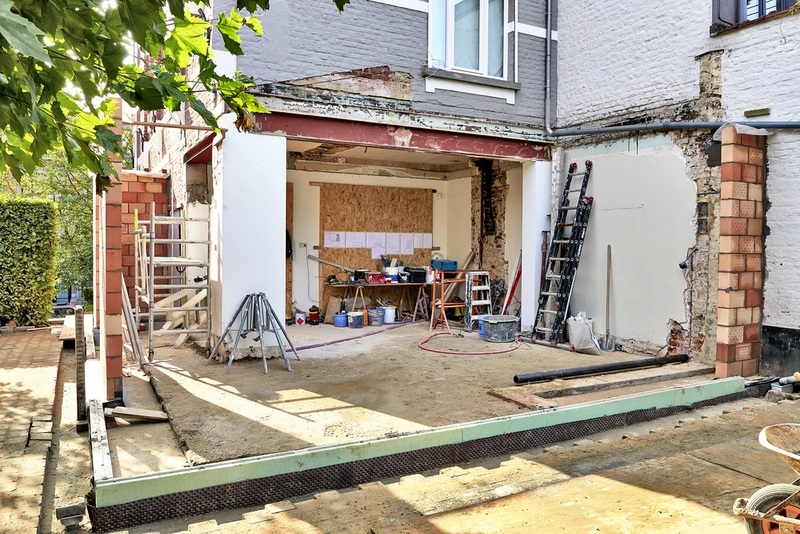 Since you’re going to give up your garage, you need to show the local council that you have a car port where you can part your vehicle (if you have one). Find a draftsman from Adelaide.